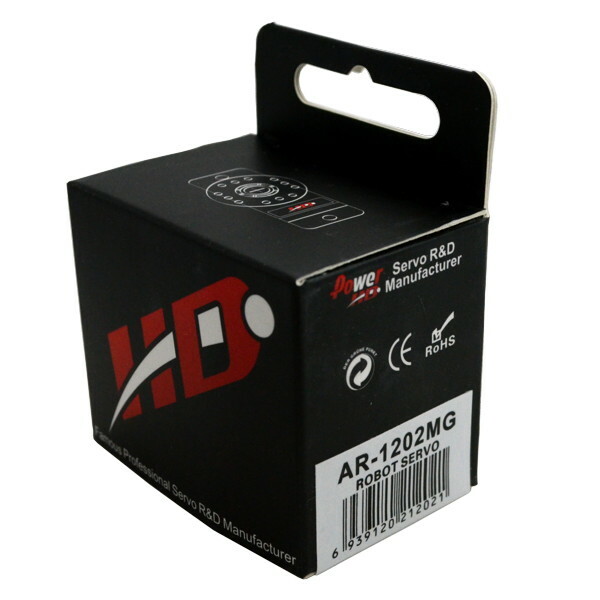 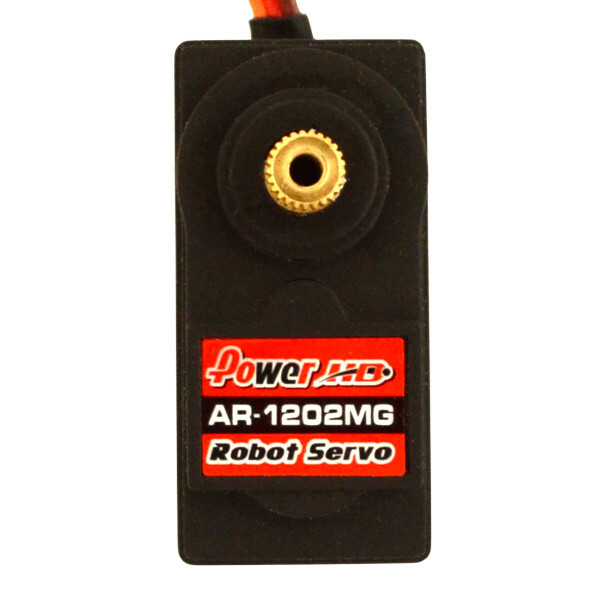 The PowerHD AR-1202MG is a strong high torque analog servo with metal gears that has been designed especially for robots. This robot actuator servo provides more than 180 oz-in of torque and has copper gears for extra strength. 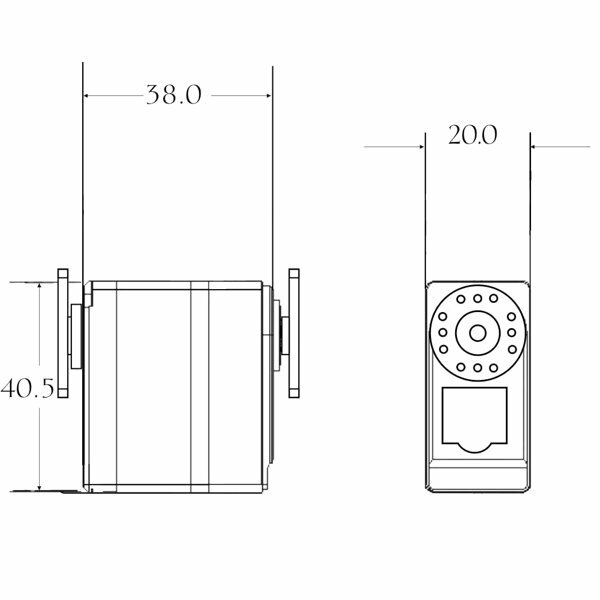 It is designed for building robotic joints with 180 degrees of movement. 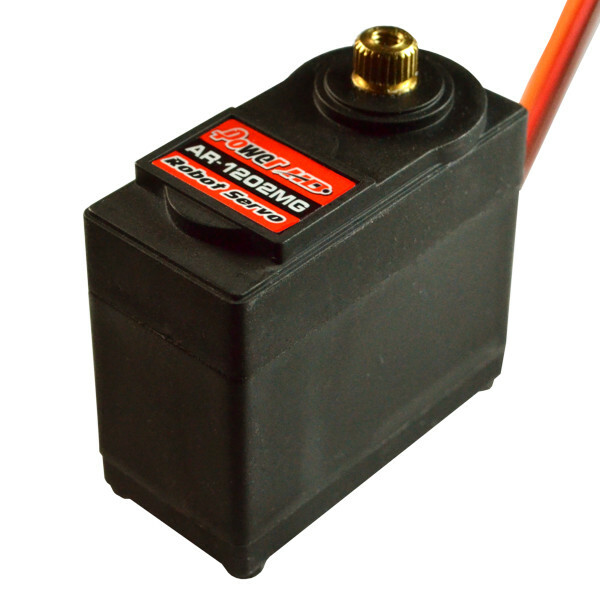 This robot servo has a standard universal JR type connector and is fully compatible with standard servo hardware and software.